At long last, some actual progress! I've been working on these for a little while as part of my Anglo-Saxon command and characters. 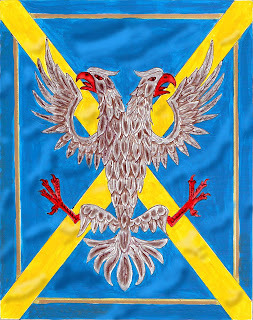 These are banners for three of the old Saxon kingdoms / earldoms. At the outset I suppose I should point out that these make no pretence of being historically accurate in their actual execution. The period in question predates true formal heraldry by rough a couple of centuries at least (depending where you put your timepoints exactly), so I'm guilty of anachronism and artistic licence at least! Anyway, on with the artwork. I used PhotoShop to do the shadows and highlights. Since my old Iwata bought the farm I no longer have an airbrush that's up to that kind of work. 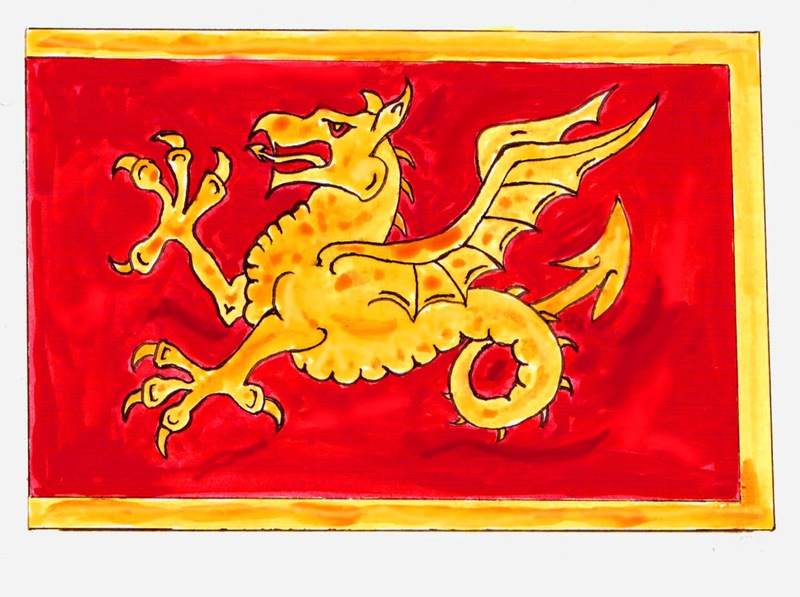 First up is the gold wyvern on red of the Earls of Wessex. This is W&N ink on Bristol board. 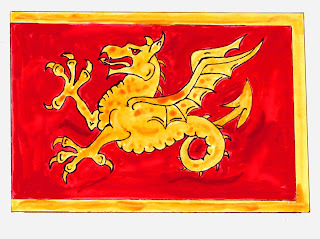 Whilst it appears there's no evidence that the wyvern was specifically identified with Wessex at the time, its actual existence and use is definitely attested to. Second we have the white horse on a red field, the Kentish Invicta. There's a supposition that this is derived from the banner carried by Horsa the Jute. Ink and watercolour on Bristol board. 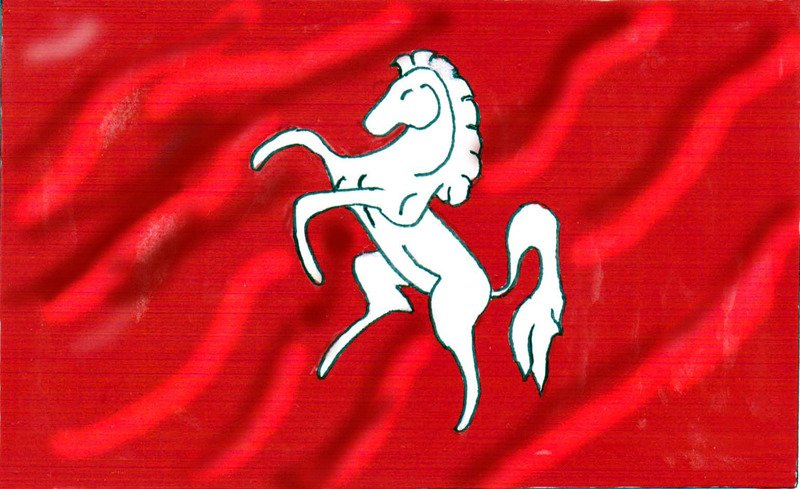 Third and last we have a flag for the earls of Mercia. The cross of Saint Alban, yellow on blue, has a long association with Mercia, and the silver double-headed eagle was actually attributed to Leofric of Mercia in the period in question. The superimposing of the two is all my own dirty work I'm afraid. This is acrylic and ink on Bristol board. Please feel free to copy for personal use, if you feel that the ahistoric status of these banners is something you can swallow! If not, well, the rest of my army is as historically accurate as I can make it, so as Max Malini said: "Honest to goodness, I only cheat a little!" Nice flags. I like your double headed eagle and the prancing horse especially. I may use the horse one for one of my Dux armies. Thanks.